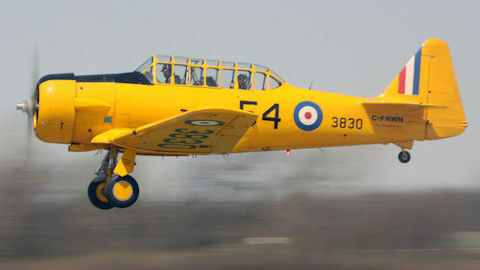 The North American Harvard - Veron is 473.9 KB. Larger files take longer to load. This is the North American Harvard - Veron listing page, here you can download the plan, article and see the main thumbnail and extra images. The original order of 94 AT-6 Texans differed little from subsequent versions such as the AT-6A (1,847) which revised the fuel tanks or the AT-6D (4,388) and AT-6F (956) that strengthened as well as lightened the frame with the use of light alloys. In all, more than 17,000 airframes were designed to the Texan standards. 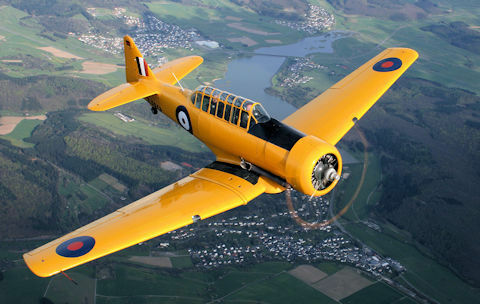 British interest in the Texan design was piqued as early as 1938 when it ordered 200 under the designation Harvard Mk I. During 1944, the AT-6D design was adopted by the RAF and named the Harvard MK III. this model of the North American Harvard was kitted by Veron is a 21-inch wingspan rubber powered model airplane. This model Harvard aircraft was designed by Phil Smith. The plan is well laid out and clearly shows the component parts as well a few steps in the construction of the model airplane. These are the details for the "North American Harvard - Veron" plan. If you would like to become a plan editor and help us to edit the attributes of all the plans in the website please click the "Edit Attributes" button below. Order your North American Harvard - Veron prints today! The North American Harvard - Veron plan can be printed on plain paper, tracing paper or polyester film and shipped worldwide. This tool allows you to calculate the cost of printing and shipping the North American Harvard - Veron plans and its building article if available. If you need to resize a plan please contact us with the ID:91749 and the desired wingspan. I will calculate a price upon request, please contact me here mentioning this PlanID: 91749 and the job you wish me to do. This plan is 473.9 KB and was shared by our member kenb on 24/05/2015 10:17 in the PDF Bitmap Wood Model Airplane Plans (2) category.